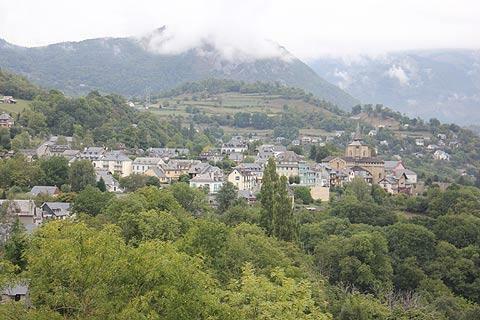 The village of Saint-Savin is situated to the south of Lourdes and north of Luz-Saint-Sauveur at the northern edge of the Pyrenees and makes for an interesting diversion when you are in the region. The road that leads to the village follows a road uphill through a scenic section of woodland. 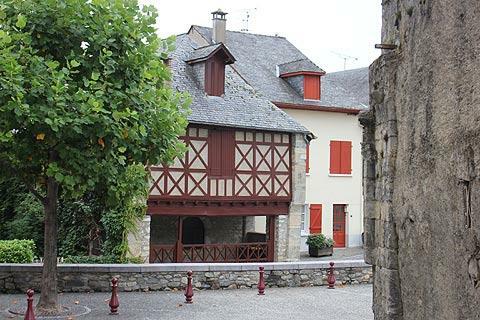 The small village of Saint-Savin is centred around an open square that includes several colombage houses, a fountain and a cafe, the town hall and the post office. 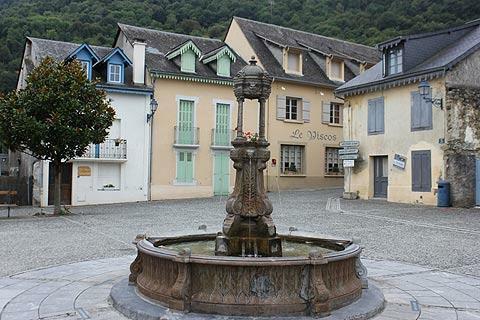 To one side of the square is a belvedere that overlooks the valley below the village. 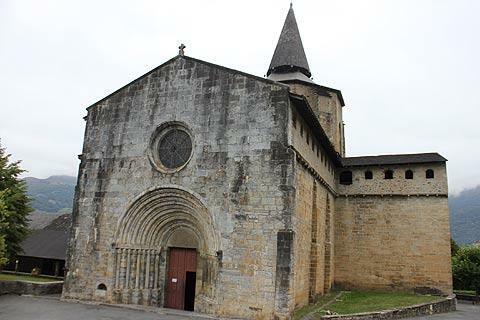 Much the most important monument in Saint-Savin is its abbey-church. A monastery has stood here since the 10th century, when it was first built on the site of a Roman fort, and continued in active use until the Wars of Religion. There then followed a long period of abandon, with much of the stone from the buildings being used for local building projects, and it was only in the second half of the 19th century that the building was protected and restoration began. 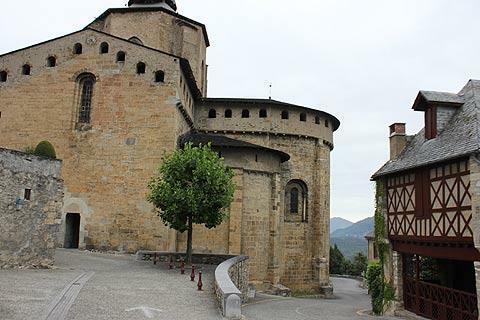 In the walls outside you can see several carvings dating from the romanesque origins of the church while inside the church you can see a rare 16th century organ and a tabernacle. 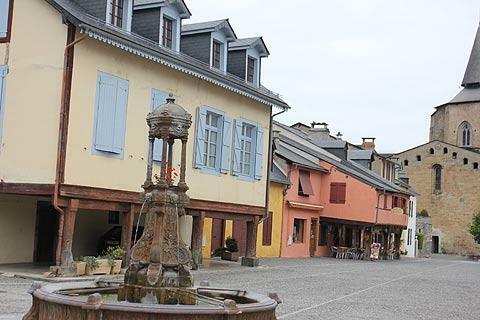 The associated buildings that can still be seen include the salle capitulaire and the treasury. 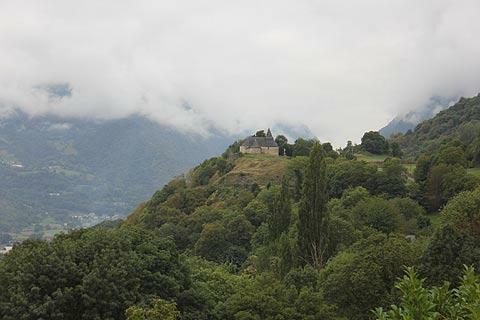 Behind the church there are terraces that have nice views across the valley and on the brow of a hill just outside Saint-Savin you can visit the small Chapel de Pietat. 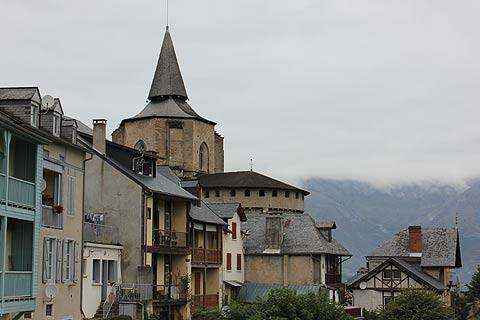 It is probably true to say that most visitors here are on their way to the more important mountain regions further south in the Pyrenees National Park, but if you have the time a popular attraction nearby is the Pyrenees Animal Park, a short distance north of Saint-Savin at Argelès-Gazost. The Col du Tourmalet with the Pic du Midi is not far to the south-east, and one of the most scenic parts of the Pyrenees.